12 of the best young Australian pianists are selected to perform in this fast-paced and inspirational series, beginning with rounds one and two, followed by the Semi and Grand Final recitals. These artists aged between 21 and 35 have their hearts set on winning the massive prize money, applause and attention, throughout the week. 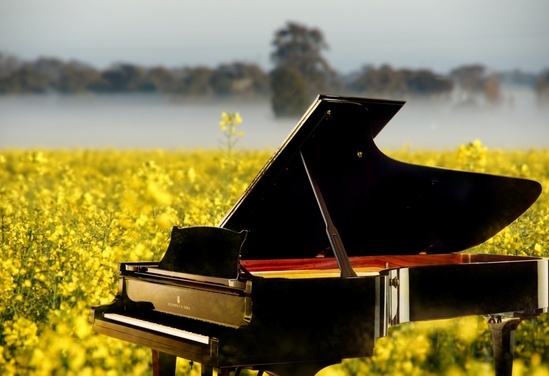 Set in country Victoria from Monday 3 to Saturday 8 September at the Eastbank Centre, Shepparton, the musicians battle it out day and night, covering masterworks by Chopin, Beethoven, Bach, Schubert, Debussy and many others. Their repertoire is filled with variety as they approach works of the Baroque, Classical, 19th Century Romantic and French Impressionist periods, as well as music written after 1950, with the highest standard. The 2018 Australian National Award showcases the pianists' passion, repertoire and charisma. Three international judges listen intently to every performance and take score. The audience becomes involved also, by voting for their favourite pianist leading up to the Grand Finals. The Semi Final and Grand Final recitals are recorded and broadcast, and later a CD of highlights will be issued. From start to finish, the musicians are given a warm country welcome, synonymous with the people of Shepparton, supporters who are very proud to host this hot contest and major event every two years. The Australian National Piano Award is a world-class competition like no other in the country, where the hottest pianists in Australia make beautiful classical music over a week, striving to win up to $68,000 in cash and prizes.